To enhance the national system of research and innovation capabilities in the country, SA has unveiled a new global radio astronomy project. The Hydrogen Intensity and Real Time Analysis eXperiment (HIRAX) is a multimillion-rand radio telescope that will help the industry develop new technologies and innovation, as well as solve big data challenges. The HIRAX is also expected to probe dark energy properties and mysterious radio flashes during the universe's critical period, which was between seven billion and 11 billion years ago. Managed by the University of KwaZulu-Natal (UKZN), HIRAX is collaborative radio astronomy project between local and international institutions. The radio telescope is located at the Square Kilometre Array (SKA) site in the Karoo. 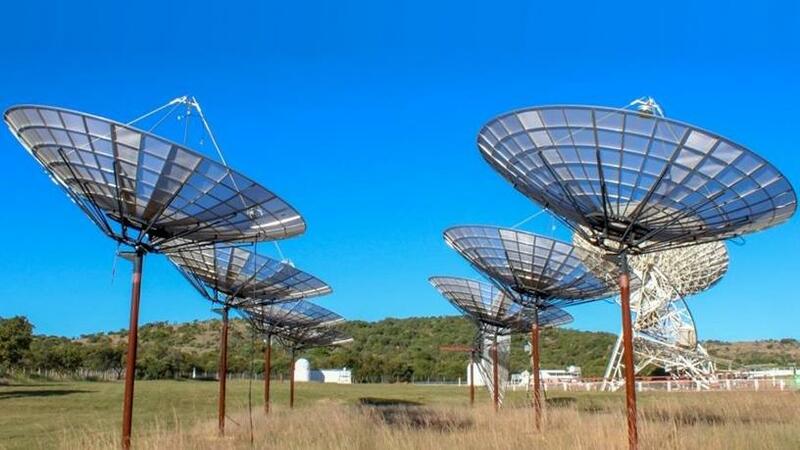 The Department of Science and Technology (DST) says the HIRAX telescope will have important synergies with the 64-dish MeerKAT, the country's precursor to the SKA. The SKA is a collection of telescopes or instruments, called an array, to be spread over long distances. It will be built in two main phases: phase one in SA and Australia; phase two expanding into other African countries, with the component in Australia also being expanded. Jointly funded by UKZN and the DST, through the National Research Foundation, HIRAX will comprise of 1 024 six-metre identical closely packed dishes that will map about a third of the sky during its four years of observation. With projects such as SKA and the MeerKAT gaining momentum, the demand for analytically skilled students is increasing and SA is under immense pressure to address the data science skills gap. According to the DST, for "healthy participation" in the SKA, SA will need 200 data scientists when the project is live. Data scientists' skills are required to interpret and analyse the vast amount of data that will be produced by the SKA radio telescope. Mmamoloko Kubayi-Ngubane, science and technology minister, says HIRAX will build on research and innovation capabilities in the country. Kubayi-Ngubane says the project will contribute to human capital development, adding that training PhD students will contribute to the achievement of the target of 100 PhDs per million of population by 2030, and inspire the next generation of learners to enter the exciting fields of science and engineering. "The project will help SA develop innovative solutions, particularly in instrumentation and big data processing, directly impacting other economic sectors through technology transfer," she notes. According to Cynthia Chiang, professor and HIRAX instrument lead, there are opportunities for students to work on all aspects of the science and engineering industry. The people who build the hardware are the same people who do the data analysis, she says. "HIRAX is a really special environment for training the next generation of instrumentation experts." In addition to employing scientists, engineers and data analysts, HIRAX will facilitate skills development of artisans, local contractors and more. Dr Albert van Jaarsveld, UKZN vice-chancellor and principal, believes the HIRAX team has made a significant impact at a national and international level. Van Jaarsveld notes the importance and significance of the HIRAX telescope project is its synergies with the SKA initiative. "This radio-astronomy telescope to be erected on the radio-quiet SKA site aims to describe the effects of dark energy on the distribution of galaxies. The project is led from UKZN by a dynamic young team of astronomers that are breaking new ground and leveraging the SKA investment to grow a new generation of young astronomers in KZN and South Africa." HIRAX principal investigator professor Kavilan Moodley states: "The HIRAX project is exciting because we are working with a dynamic group of students and scientists that work on all aspects of the project, from building the telescope and analysing the data to scientific interpretation. We are aiming to use our competitive advantage of being on the excellent SKA SA Karoo site to have an impact on the study of dark energy and fast radio bursts."